Clearance Specialists We are the specialists in all aspects of house and office clearance. Whether you need several thousands of square feet cleared, or simply want one item removed, we are the people to call. With many years experience, we pride ourselves on providing the most cost effective and environmentally responsible clearance service on the market. The Clearance Experts When possible, we factor any resale value of the items we clear into our prices. 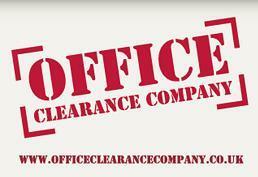 Therefore we are often considerably more cost competitive than other office clearance companies. This also demonstrates our commitment to reusing the items we remove - our bottom line often depends on it! Experienced, well trained, helpful teams. WEEE compliance and documentation for all recycling / disposal, Discretion and confidentiality, Dedicated project managers.